Get a streamlined development experience with the Quickbooks API plugin for Linx. The plugin handles all the intricate details involved in working with the Quickbooks APl including feature-rich data integration between Quickbooks and virtually any other application, database or system. 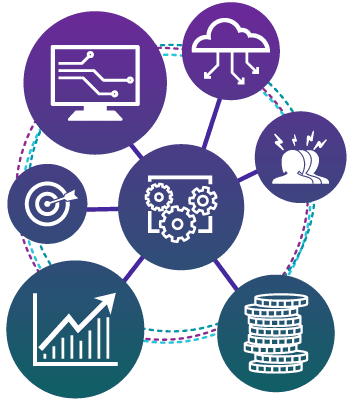 We’ve cut our teeth over the last 15 years in providing secure, reliable integration and automation technology for large financial enterprises, so we know the challenges that come with integrating complex systems and creating powerful process-focused solutions. The Linx plugin architecture reduces the hassles associated with developing and maintaining code. For developers, it increases the speed of development without sacrificing power and will save you valuable time. If you have ever spent hours working on the Xero API or hand-coding a custom integration to a database, SaaS product or legacy system, Linx is for you.